Yeah, this is why I don't watch anything that's currently airing, especially with the you-know-what issue. I like to binge, so I can fully enjoy the drama. I mean, why wait an entire week for the next episode when I can watch the whole show in that amount of time? The worst part is, some teams go slower on purpose if viewers complain about the subs going too slow. They are so childish, even though most are old enough to be ''grannys'' and should know better. That is why I stopped watching dramas here bc although they have about 5 to 6 good translators and a great fully equipped team, you have to wait DAYS before they fully sub an episode. I'm not talking about idol type dramas those always get subbed faster and is done mainly by a younger team crowd, but I don't like those types of dramas, so I don't care if they get instant subbing or not. This has been going on in here for a while now, and I'm so happy I found somewhere else to see my fave dramas, movies and documentaries fully subbed. I still do my volunteer work here, since I feel bad for the one's who have to constantly beg for spanish subs. As a viewer I mostly watch finished dramas, or the ones which are more than halfway, so that I don't have to wait long. But of course if you're a volunteer, it is a different story. Sometimes I watch an on-air drama, and at the same time I have a finished one on the side, to watch on the waiting days. I did that when I worked on Hwayugi. I watched My Girlfriend is a Gumiho during the weekdays, and when that was finished, I started Arang and the Magistrate. They were both great, so I didn't miss Hwayugi so much. Oh, they do that? I hope everyone can get along, though. We all have our love for Asian dramas in common, after all. Also, anything the Hong sisters write is pure awesomeness. lately Netflix is doing something neat. so I am satisfied anyway. Oh, very nice. There are indeed totally awesome alternatives. The problem is that they don't cater to those outside of the Americas. Viki does. Also, Viki offers a lot of incentives, like ultra cheap Passes for subscribers and various perks for translators and editors. The other services cost more too. Viki it is for now, for me at least. Are there, actually, any other legal alternatives in Europe, besides Viki and Netflix? Dramafever in the UK, not sure what over countries. Technically available in my country (Greece) too, but only like... 2 dramas are watchable. Officially though, it's not available. I've never used as i found it too expensive and the quality wasn't great. KBS has a strong presence in Europe. If you or your parents have a TV subscription, then that's another choice. They also have a YouTube channel, but they only put on certain dramas. Thanks i forgot about that, also if you have apple tv they have a expensive subscription to Korean TV, i remember solomons perjury on there. What is the TV subscription your talking about i'm curious, is it the apple TV thing or is it separate. 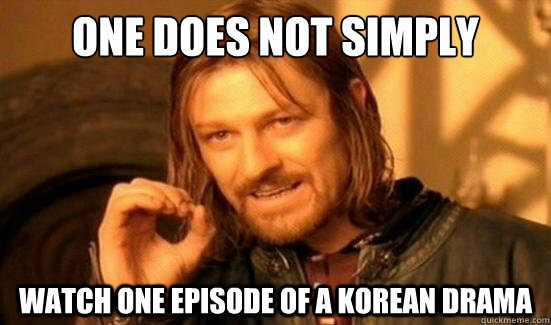 Besides that, Korean dramas aren't available on-demand (or live) in any Greek subscription services (af far as I know). Just classic TV cable, live TV with channels, that sort of thing. Yes, they put out daily and weekly dramas, but only those produced in-house. Don't expect to see Queen of Mystery 2, though. That's only on their TV channel. My daughter who lives in England has a Netflix subscription and it seems you can legally share your user credentials with a couple of people. So yesterday I was trying to look for some Korean content. First of all there is no good browse feature, and secondly my search only yielded very very few titles, most of them action/thriller movies. I was really disappointed. First time I've heard about that. Never happened in any team I was in, and I'm sure no serious team leader would do that. After all, for all the vocal whiners, there are just as many or probably much more people who silently and patiently wait, so why should they be punished as well? Of course we can't rule out the possibility that it may have happened once. I use my friends Netflix account and if you search in Korean your get a list of other search terms, but i like to watch obscure k-dramas so i tend to not watch my dramas on there. i will try to send you a list of all the kdramas they have on there because it is a tad confusing.